At The Natural Accent, our primary focus is helping "you" with your residential landscape. We specialize in the design and installation of a variety of landscaping projects. From artistic landscape plans drawn to scale, to the environmentally friendly installation and maintenance practices, we help our customers achieve and maintain their landscape dreams. See our services page for all that we offer. Thanks for visiting The Natural Accent. We are eager to help you will all of your landscaping needs. 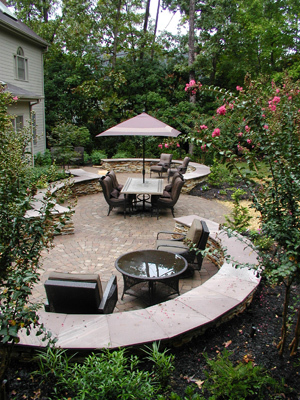 The Natural Accent is a Registered Landscape Contractor for the State of North Carolina. Click here to view our portfolio of projects.